Iain McGee is an Associate Professor and Head of the Faculty of English Language Studies at Majan University College, Muscat, Oman. He completed his PhD from Cardiff University, UK, in 2006, and has published research in a number of areas within applied linguistics including collocation and the mental lexicon, lexical cohesion, data-driven learning and lexicography, teacher cognition, and paragraph analysis. Understanding the Paragraph and Paragraphing is a work of wide-ranging and in-depth scholarship on the nature of the paragraph and the factors involved in making paragraphing decisions when constructing written text. Its comprehensive scope includes discussion on the origin of the paragraph and its nature as explored in centuries past and in recent work in discourse analysis and corpus linguistics, with implications drawn for pedagogy and future research. McGee profiles the work of key figures who helped to set traditional notions of the paragraph, and then turns to recent and contemporary empirical research and theorizing, including his own, on paragraph structure and on writing process activity related to paragraphing decisions. 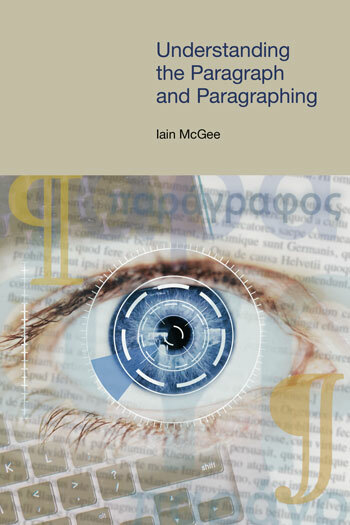 The extensive review and close analysis of sources, combined with the author’s knowledge of research traditions and methodologies, provides a strong foundation for McGee’s probing study of the paragraph and the resulting enlightened understandings of it that the book provides. 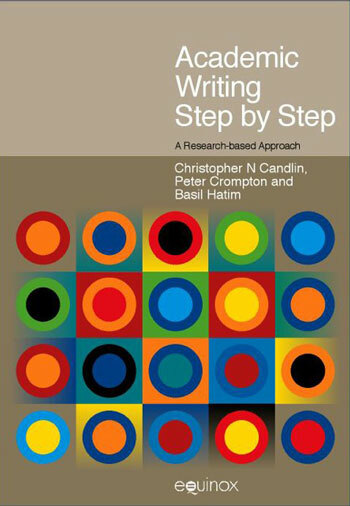 Given that what the general public and indeed most teachers know about paragraphs and paragraphing does not represent actual paragraph structure or paragraphing practice, the pedagogical guidance which the author provides based on a thorough review of existing research makes this an especially useful book. This chapter sets the stage for what follows, by highlighting areas of tension and uncertainty about the identity, purpose, and pedagogical treatment of the paragraph and paragraphing. The overview reviews, in brief, a range of theories and ideas which are taken up and analyzed one by one in more detail throughout the book. This chapter provides an overview of historical paragraphing practices starting with early Greek usage, moving on to Latin paragraphing, and ending with paragraphing practice in various historical forms of English up to the end of the 19th century. The author provides a summary and critique of Lewis’ (1894) book A History of the English Paragraph , and suggest that his explanations for why paragraphing practice changed over hundreds of years are inadequate, arguing for a much wider set of considerations to be taken into account to interpret these changes. 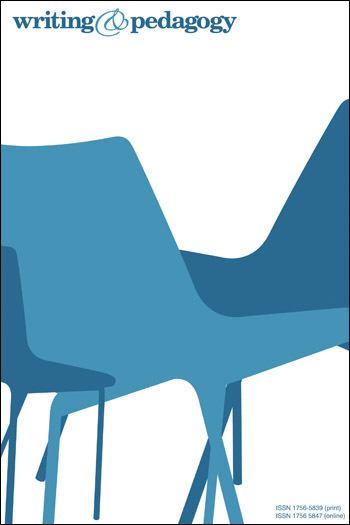 In this chapter the author engages with paragraph scholarship and theorizing in the 1960s. This period witnessed a significant shift away from a number of the assumptions held by late 19th century scholars, in addition to the adoption of a number of new perspectives and ways of thinking about the paragraph and paragraphing. The contributions of four scholars (Alton Becker, Francis Christensen, John Lord, and Paul Rodgers) are examined in detail, and the impact of their work on later pedagogical practice is discussed. This chapter surveys reader psychology and paragraphs. A review of research into eye movement and paragraph breaks is provided alongside various attempts to explain pause and focus in reading. The author also analyses studies which have investigated how paragraph manipulation affects reader comprehension, memory, and learning, together with research which has examined reader segmentation of de-paragraphed text. It is argued, inter alia, that the effect of a paragraph break, or the effect of a particular way of organizing a paragraph, is mediated or co-mediated by six reader variables. Accordingly, the author argues that one cannot state, with any degree of confidence, what the effect of a paragraph break or type of organization will be for a reader. The strength of this book is in its encyclopedic review of the literature on paragraphs and paragraphing. Scholars of the paragraph will appreciate the depth of research available in this book, and it will no doubt be of great use in future research on the topic. As to pedagogy, the text is an important reminder that although paragraphs might often be presented as simple and straightforward, they are in fact highly varied and responsive. McGee not only wants us to consider the context of the writer, the reader, and the text itself, but he demonstrates to us the necessity of this view. With these in mind, we can build our understanding of paragraphs as we read them, as we seek to write them, and as we teach others to do the same. McGee has ultimately achieved his aim of writing a book that might ‘help writing instructors discuss paragraphs and paragraphing intelligently with their students’ by encouraging readers and writers alike to hold traditional models of the paragraph lightly, focusing less on the what and how of making paragraphing decisions and more on the why.